SharePoint provides an application platform based on ASP.NET code. It allows users to develop solutions to complex problems using SharePoint Designer. It also provides users with custom solutions and communities through Microsoft Visual Studio. SharePoint web development enables the creation of highly customized sites and solutions using Share Visio diagrams and Microsoft Access databases. Solutions based on workflow and forms can be developed with SharePoint Designer and InfoPath. Isn’t it surprising that the headaches, logjams and business challenges you had for so many years can be solved with a code-free solution? It is not a fairytale. It can happen and is a reality! With SharePoint composites, you can work with data from other systems as if they SharePoint are stored in your local system. SharePoint makes, creating, reading, updating, deleting and searching data with external lists absolutely seamless. You can work online in a browser or with Microsoft Office: if you cannot connect with SharePoint, then you can use SharePoint Workspace to work offline. All your changes made can be synchronized later when you have access to connect with SharePoint Composites to help you centralize and manage your business solutions seamlessly and efficiently enabling users to do their job in minimal time and with minimal effort. This helps organizations in improving their over-all efficiency in this cut-throat, competitive world. 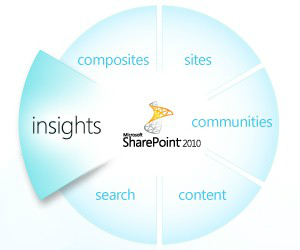 How does SharePoint Composites prove to be helpful? SharePoint and databases (e.g. Access, MS SQL) work together effortlessly. You can integrate databases with SharePoint, and access them throughout the organization. Databases can be managed with better versioning. This in return simplifies the implementation of forms and reports in SharePoint, while maintaining ease of control in integration and management. Data in organizations becomes more dexterous when you use SharePoint. You can use, append and retrieve data from other systems. All these operations can be done in SharePoint in both modes of reading and writing. It also provides options for working with data online or offline through Outlook, Word and SharePoint Workspace. Learn more about how Rishabh Software can help you develop a collaborative business solution with SharePoint Composites that can help you manage and coordinate your business needs.